There are just so many things that make Gorontalo perfect for holiday, the beauty of its nature, the culture and not forget to mention, the friendly people. General information about Gorontalo, stated at North Sulawesi. 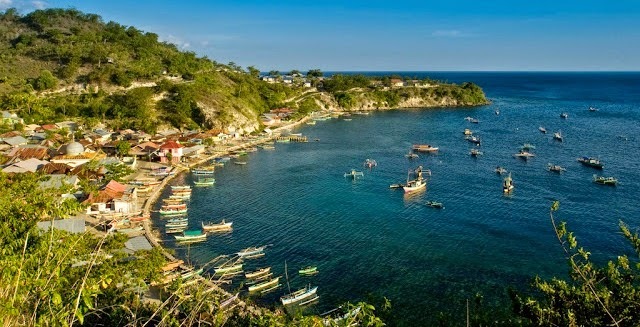 Mountains, hills, shore line are the main characteristic of Gorontalo and it makes the island perfect for marine tourism. Most of diving site take you just a few minute from town, Diving in Gorontalo mean diving within the richness of biodiversity, health and unique coral and reefs. Lots of beautiful places could be found here. Tomini Bay, for instance, is famous for under water habitat and undefined creatures. There is several number of unsettled small islands. Tomini Bay is a heaven for divers, because the geographic position of Tomini Bay itself, which is crossed by the equator line, has naturally presented various kinds of sea creature inside. Ikan Behang (plectorhinchus chaetodonoides), some people call it cha-cha fish caused they dance and swim around the coral.